The cultural and artistic rise and fall of Soho is such a stark and notable one that the area serves as the namesake for the “Soho effect,” described briefly in Elizabeth Currid’s “Bohemia as Subculture.” The Soho effect refers specifically to the process of the neighborhood’s transformation from “a manufacturing district to a bohemian enclave to outdoor shopping mall”; indeed, as you walk up and down the crowded streets of Soho today, you would note somewhat of a strip-mall sentiment from the overwhelming presence brand-name stores, although it is spotted with smaller boutiques, restaurants, and galleries here and there. Alexis Clements of the L Magazine writes comprehensively of the neighborhood’s history and artistic trends. In the early 1800’s, the area, being one of the first “regulated” (apparently meaning flattened and even for horse carriage and foot travel) lands on the Manhattan island, was a wealthy neighborhood. However, when the city expanded north on the island, developing more modern and sophisticated buildings, Soho was left as the landing grounds for immigrants and eventually black folk. During the Industrial Revolution, the cast iron buildings that are iconic to the Soho neighborhood were being built as loft spaces meant for manufacturing and sales. After the decline of the manufacturing industry after World War II, these buildings went from “bustling and proud examples of American commerce to small low-end manufacturers and sweatshops.” The turnover rate of tenants was high; as a result, artists with low income (and lower standards of living) slowly started moving in during the 1950’s. By the 1960’s the area was the pinnacle of New York City’s distressed economy; it was referred to as Hell’s Hundred Acres because of the frequency of fires that occurred as a result of the buildings’ decrepit states. 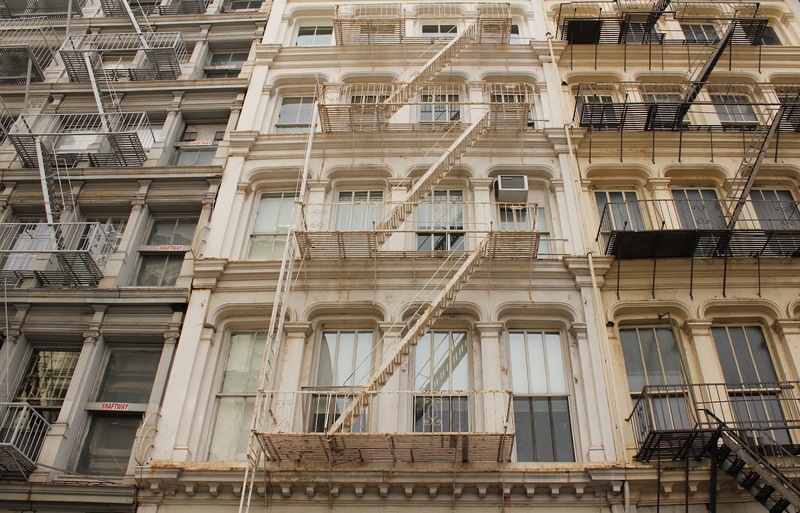 After the founding of the Soho Artist’s Association in 1968, the buildings were actually rezoned and made legal for living and studio space for artists: then came the famous gentrification. We often think of gentrification today as the influx of middle- to upper-class tenants in lower-income neighborhoods that both restores the architecture and displaces the low-income residents of the area; however, at the time, there were very few residents at all because of the poor living conditions of the area, so there were very few tenants to displace. In that regard, “gentrification” might be somewhat of a over-generalization of Soho’s history; additionally, it might seem ineffective to then label other instances of gentrification as a result of cultural or artistic intrigue as instances of “the Soho effect,” seeing as the circumstances of Soho’s transformation throughout history is rather specific to its time. The influx of artists into the 70’s brought a new life to Soho. Perhaps the most intriguing point to me that Currid made in her piece was that on a “symbolic and intangible level, people like to be a part of a cultural milieu. People move to Seattle to be near its music scene and people live in New York because of its rich art worlds, not necessarily to become rock stars or artists or even to buy paintings or become music groupies. People may indeed consume local culture, but they also seek out cultural milieus just to be around them.” This is very explicative of what happened in Soho; this is when some level of gentrification of non-artists (upper class people who desired this consumption of art and music and general cultural extravagance) into the area that was particularly inhabited by artists actually occurred. However, the still dominantly artist-inhabited neighborhood was amped up in renovations and reconstructions (and ultimately, a rebranding) during this time. The changes that these artists made “attracted capital, reinvestment, and new residents into the area, pushing up real estate values and rents, pushing out the artists, and transforming the neighborhood into a high-end residential and consumption mecca for the elite,” as Currid writes. Indeed, there seems today to be an air of high-end market value in Soho as an area saturated with commercial and residential buildings, yet with architecture vaguely reminiscent of the neighborhood’s conflicted past.